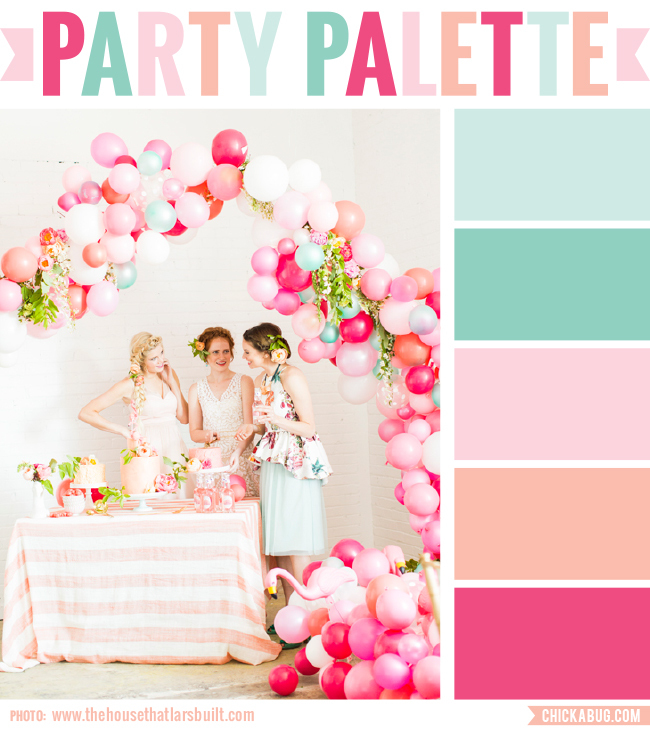 An absolutely unbelievably pretty bridal shower photo shoot inspired this color palette of minty greens, pinks, and light coral. It’s so fresh, feminine, and a little unexpected! You’ve got to see the whole bridal shower – the photos are pure magic. Can you please tell me what brand/color name is above? I would love to use these in my daughters nusery! Hi Heather! Sorry, it's not a paint chip. It's just a color sample taken from the photo.